Automatic Rotary Arm or ARA machines are either stand-alone machines or integrated into a conveyor system. 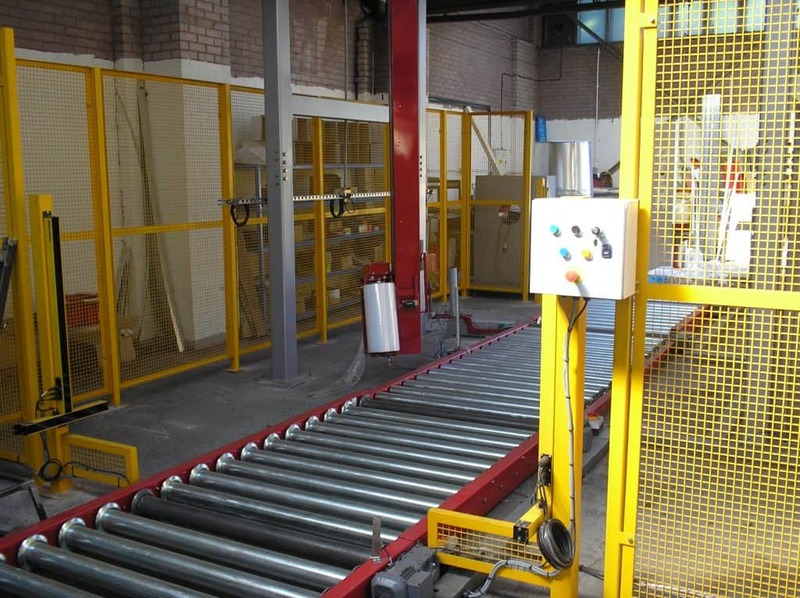 The conveyor system automatically delivers the product into our completely automated wrapping system and ejects wrapped product ready for shipping. 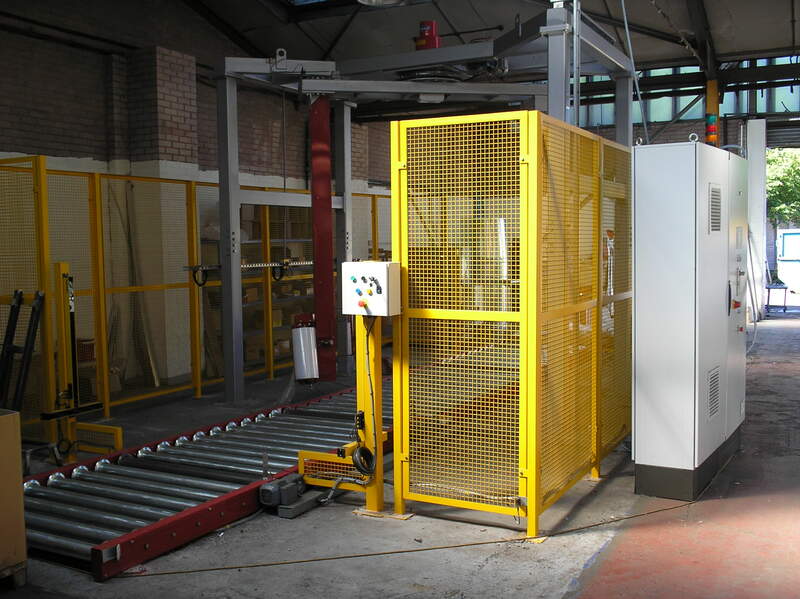 ARA machines are generally used for high volumes of pallets, but they are also ideal for awkwardly shaped or unstable pallets. All machines are supplied with our ‘cut and clamp’ mechanism, this holds the film in the clamp as the first wrap cycle commences. After this initial revolution is complete, the film is trapped by the first wrap. The clamp then releases, this removes the need for manual attachment of the film. These machines offer another dimension to wrapping products. 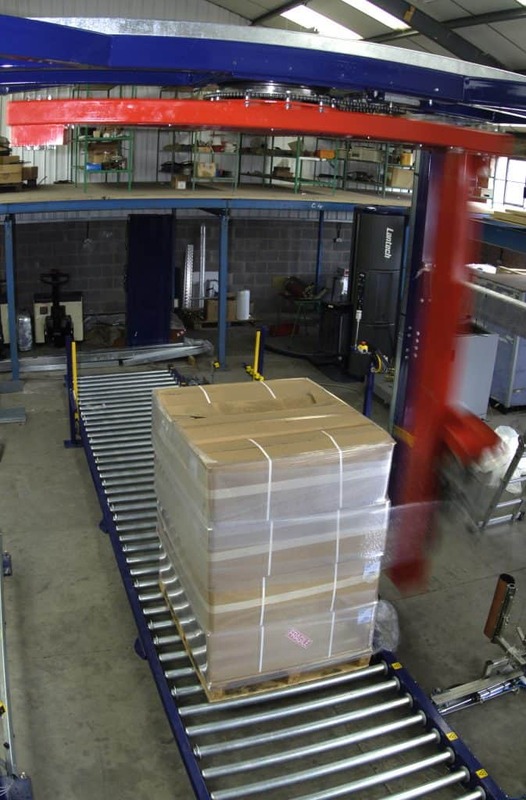 The pallet or product is loaded within the frame of the machine. When the machine starts the rotary arm fixed above the centre point of will revolve around the pallet. 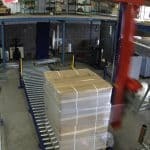 As the arm revolves the film is wrapped around the pallet and the carriage on the arm moves upwards to the top of the pallet. When the number of top wraps required is reached, the then carriage descends down the rotary arm to complete the wrap cycle. After the cycle is complete the film is re-clamped ready for the next pallet. 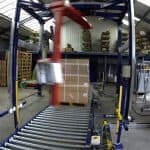 A hot wire cutting device on a pneumatic arm then moves into the line of film between the clamp and pallet and cuts the film. 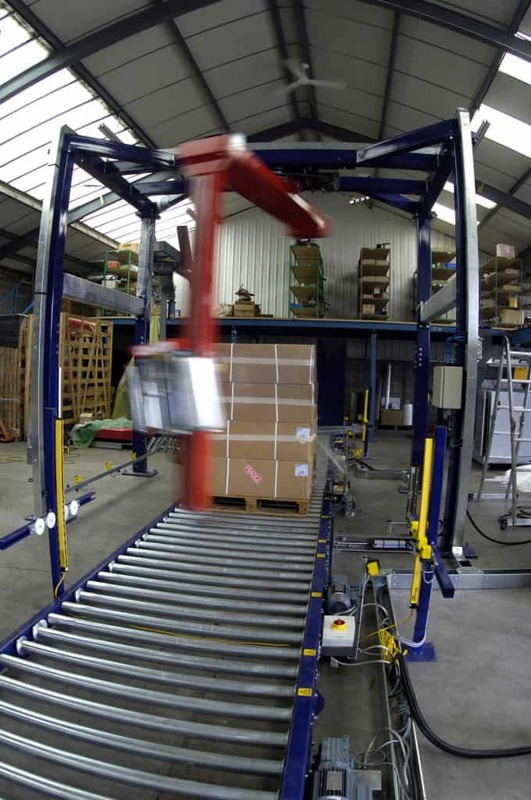 As an option a top platen can be fitted to secure light or unbalanced loads while wrapping. 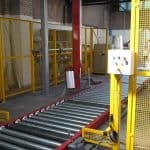 A wiping device can also be fitted to the machine to place the tail end of the film back onto the pallet.